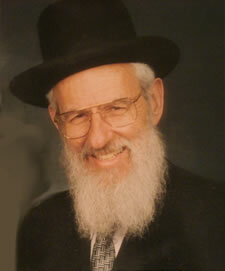 Rabbi Avraham B. Hecht, a leading rabbi in North America for more than 50 years, passed away Saturday night. He was 90 years old. A renowned congregational leader and author, Hecht served as president of the Rabbinical Alliance of America-Igud HaRabanim, the national rabbinic organization. As rabbi of Congregation Shaare Zion in Brooklyn, N.Y., for more than 50 years, Hecht led the largest Sephardic congregation in North America, comprising more than 3,500 families. The funeral will take place Sunday at 11:30 a.m., beginning at Shomrei Hadas chapels in Borough Park. The procession will pass Congregation Shaarei Tzion on Ocean Parkway, and at about 1:30 p.m., will pass Lubavitch World Headquarters, at 770 Eastern Parkway.